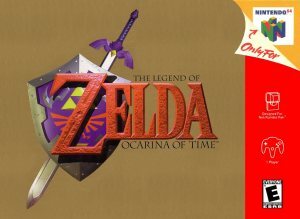 Ocarina of Time is the first Legend of Zelda game in 3D, and it's also the last Zelda game I'll ever buy, because it is so terrible. The story is a stale retread of earlier games in the series. The controls are complex and confusing. The "action" is a boring chore. The level design is clunky and haphazardly put together. The ocarina is a stupid gimmick. The music is atrocious. I could go on and on about how bad everything is but I think you get the idea. What was Nintendo thinking? This is one of the worst games I've ever played, if not the worst. Ocarina of Time, more like Waste of Time. Zero stars.